The Easyspin RF360 utilizes precise radio frequencies to operate up to 6 secondary functions wirelessly from the stylish and ergonomic spinner. The Spinmaster spinner knob and Easyspin indicator system have been the standard in one-handed steering for more than a decade but our drive to improve and refine led us to supersede these proven performers. 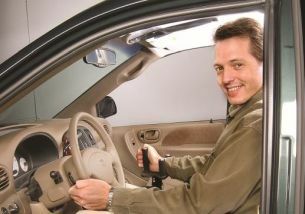 While inheriting the distinctive characteristics of its predecessors; featuring durable construction, smooth and reliable operation, and quick release mechanism, as well as the original and unique Spinmaster steering wheel clamp, the Easyspin RF360 ups the ante with its own innovative features. The design of the Easyspin RF360 with its integrated buttons and unique hammerhead shape has been created specifically to fit your hand's ergonomics. It didn't happen by accident, over 18 months were spent undertaking research, development and testing with designers, occupational therapists and clients. It also features a soft rubber overlay grip for your comfort. 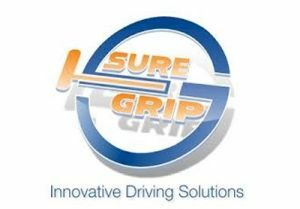 AutoLock is an accelerator lock out device that comes standard on all of Sure Grip’s hand controls, and is an added safety feature for the driver or those that share the vehicle. 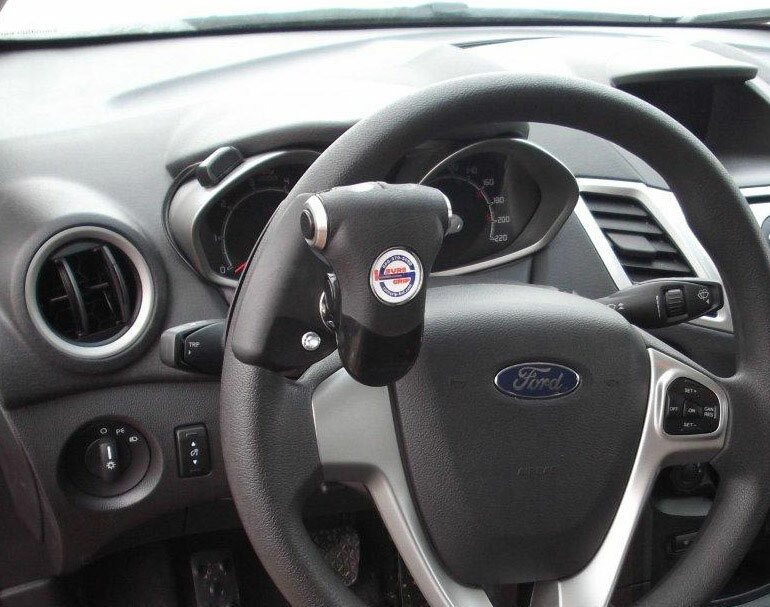 With the push of a button or knob, the accelerator function of the hand control can be disabled and help prevent accidents through misuse of the control by mechanics, valets or any other unqualified user.Autolock is available in both electronic and manual formats.